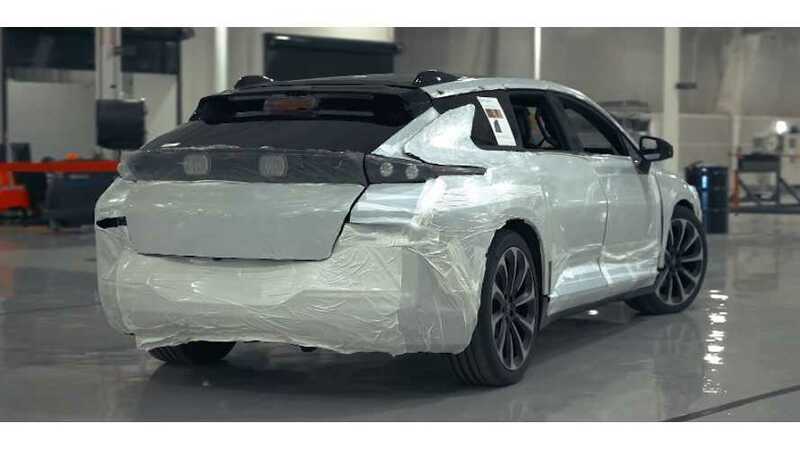 Faraday Future has built its first pre-production FF91 in Hanford, California, around a month after its first completed structural frame of the FF 91 was revealed (also referred to as Body in White). It's expected that after the run of pre-production cars, Faraday Future will begin production and deliveries of customer cars by the end of this year. "We’ve built our 1st pre-production #FF91 using thousands parts from top-tier suppliers from around the world. I firmly believe that the industry and users will reap the benefits of the “new species” we all worked so hard to create." "A company memo leaked to Green Car Reports reveals that Faraday plans a party to celebrate the milestone at its assembly plant in California's Central Valley on Tuesday." "“It is inspirational for us at FF to see all the parts come together for this significant day: the literal parts of the FF 91 from our various on-time supplier partners; the processes and tooling within the Hanford facility itself; and the invaluable training for the essential ‘soft’ skills required for this level of sophisticated teamwork I and others need in our Hanford production teams as we begin creation of our FF 91," said Faraday Future's senior vice president of manufacturing Dag Reckhorn."